The combination between a cleaner and a care product makes this the perfect duo to have in your RV, boat or car. 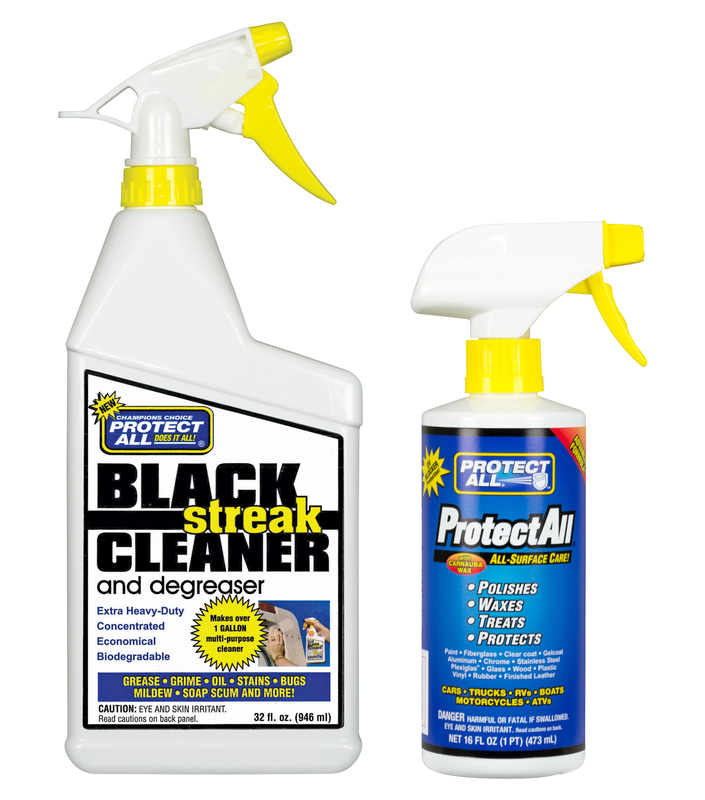 ProtectAll Black Streak Cleaner & Degreaser cleans black streaks, dirt, grime, bugs, mildew, oil, soap scum and much more. 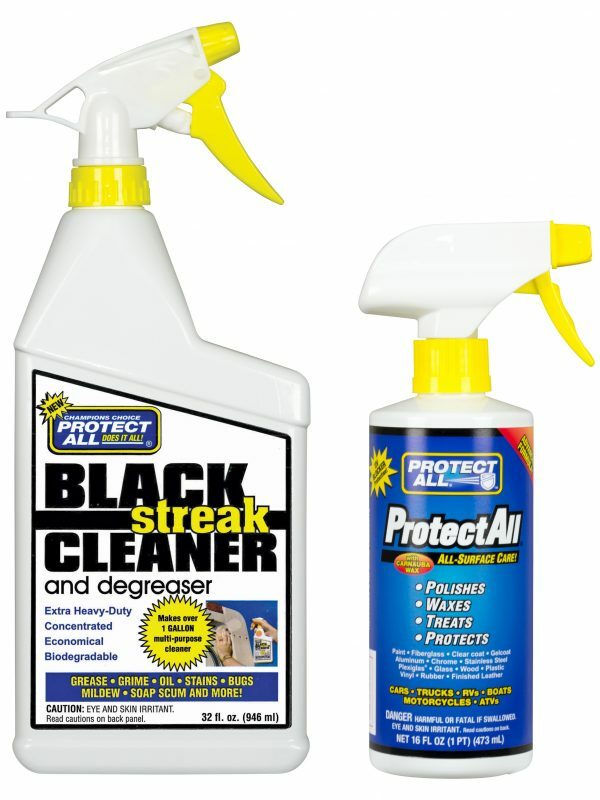 ProtectAll All-Surface Care is a versatile 4-in-1 product good for indoor and outdoor use. 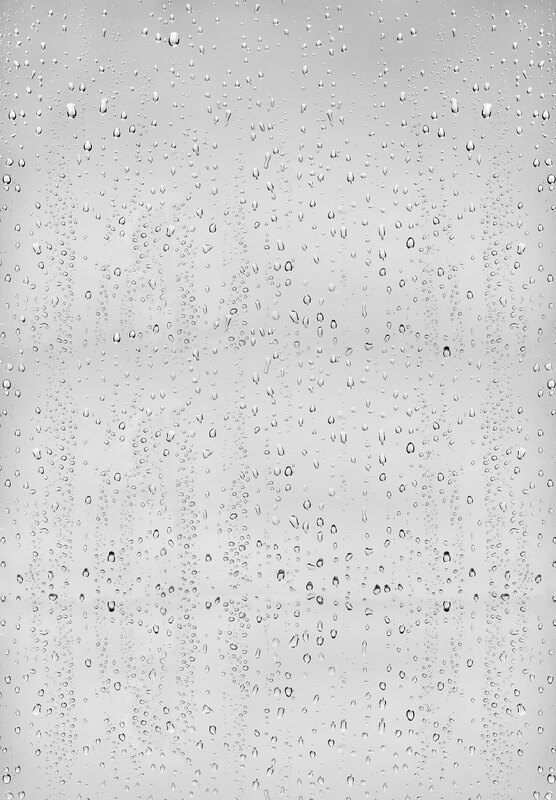 Uniquely formulated, All-Surface Care waxes, polishes, treats and protects a large variety of surfaces, from RVs, cars, boats, and motorcycles, to hard surfaces found in homes – wood, glass, stainless steel, glass, finished leather and more.